Master Sgt. Arthur L. Lilley, 35, a Special Forces team sergeant assigned to 2nd Battalion, 7th Special Forces Group (Airborne) at Ft. Bragg, N.C., died June 15 of wounds sustained from enemy small arms fire during combat operations in the Paktika Province, near Shkin, Afghanistan. Lilley, a native of Smithfield, Pa., enlisted as an infantryman in 1990. His first assignment was with the 101st Airborne Division (Air Assault) where he served in Operation Desert Shield and Desert Storm. He then transferred to 1st Battalion (Airborne), 508th Infantry Regiment, 173rd Infantry Brigade, Camp Ederle, Italy in September 1992, where he served for just over two years. In 1995, he volunteered to become a Special Forces Soldier. 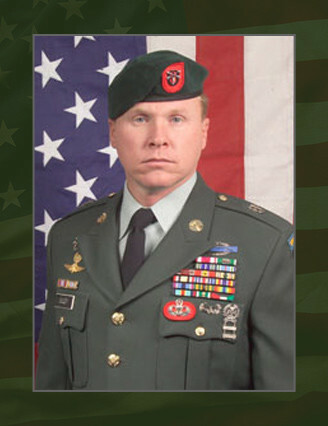 Lilley graduated from the Special Forces Qualification Course in 1996 and was assigned 1st Bn., 7th SFG, as a Special Forces engineer sergeant. In 2000, after serving four years in 7th SFG, he was assigned to the 96th Civil Affairs Battalion at Fort Bragg, N.C., where he served as an engineer sergeant and then first sergeant. In August 2005, Lilley was assigned to 2nd Bn., 7th SFG and served there as an Operational Detachment – Alpha team sergeant until his death. His military education also includes the Basic and Advanced Noncommissioned Officer Courses, Special Operations Target Interdiction Course, Civil Affairs Qualification Course, Basic and Advanced Airborne Courses, Air Assault Course, Spanish Language Course, and the First Sergeants Course. His awards and decorations include the Meritorious Service Medal, Army Commendation Medal, Joint Service Achievement Medal, Army Achievement Medal, Army Good Conduct Medal, National Defense Service Medal, Southwest Asia Service Medal, Global War on Terrorism Expeditionary Medal, Global War on Terrorism Service Medal, Humanitarian Service Medal, NCO Professional Development Ribbon, Army Service Ribbon, Overseas Service Ribbon, Kuwait Liberation Medal (Saudi Arabia) , Kuwait Liberation Medal (Kuwait), Expert Infantryman Badge, Combat Infantryman Badge, Master Parachutist Badge, Air Assault Badge, and Special Forces Tab. Rick and Jessica Barnett; grandmother Evelyn Barrett; grandparents Arthur and Edith Lilley, Ralph and Louise Barrett, and Jerry and Sondra Tate.